How often have you tried to go to a restaurant or shop during a holiday only to find they’re not open during the business hours they list online? That might soon be changing. 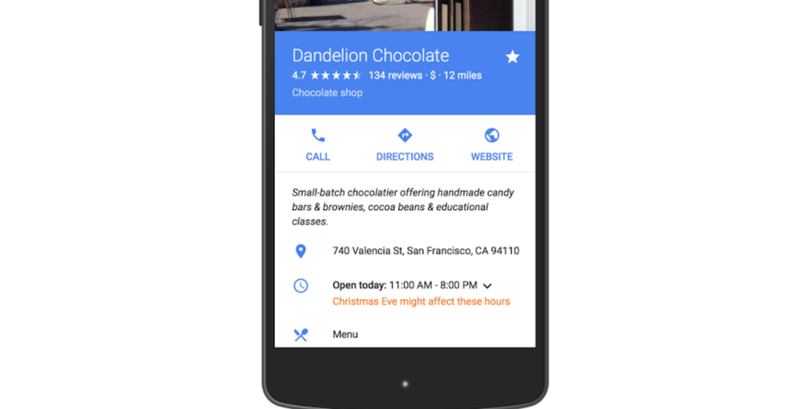 Google today announced it’s adding holiday hours to Maps and Search. When a major holiday approaches, the search engine will now show whether the business has a different schedule for that particular day or period. It’s a small but welcome addition that means you may no longer have to call a business to check for special hours. Better yet, it could save you from the heartache of arriving at your favorite restaurant only to see it’s closed for the holidays. The update is rolling out across all platforms today, and the holidays are localized to each region.